PRESS RELEASE: Discover the exciting new features in Logic Studio 9 with an Apple Product Expert at this FREE event in Guildford, Surrey, UK on September 30th 2009. This event is ideal for existing Logic users who want to learn about the new possibilities in Logic 9 and discover how to fully exploit them. At the end of the night, everyone will be entered into a prize draw to win an iPod Touch courtesy of Apple. Apple and Andertons Music Company are teaming up to bring musicians, producers and composers a free seminar in Guildford to showcase Logic Studio 9. 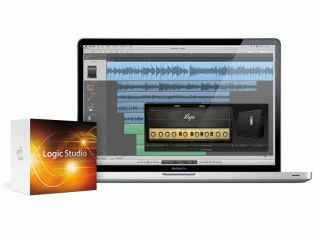 Logic Expert Joe Moretti will be exploring the new features in Logic Studio 9. At the end of the night, everyone will be entered into a prize draw to win an iPod Touch courtesy of Apple. The seminar will cover the capabilities of the main new features in the software: These include Amp Designer and Pedalboard plugins which allow more control than ever over guitar amp and effects simulations; Flex Time and Audio Quantize which are tools that make time-manipulation of audio simpler and more intuitive; and Mainstage 2 which introduces a number of useful new features for performers who wish to use their DAW as a sequencer or synthesiser in a live environment. This event is to be held at Guildford YMCA in the South-East of the United Kingdom within easy access by train of the majority of the region. The event starts at 7.30pm on September 30th 2009 and should last around two hours. The YMCA building is on Bridge Street, Guildford, GU1 4SB. It is less than a minute's walk from Guildford mainline station on the London-Portsmouth Line. It is also only two minutes walk from Bedford Road car park that is free after 6pm. Those wishing to attend should visit the Andertons website to register for their free place/s. Places for the event are limited to a relatively small number of seats so it is advised that any interested parties contact Andertons to secure their places. The registration form can be found within the news story for the show on the Andertons website (as per the above link) and those that register will be contacted with more details very soon.